Oh goodness.. I got my first award! Yay :) I got three nominations this week.. I BETTER get this posted so I don't have any more question's to answer!!! 1. 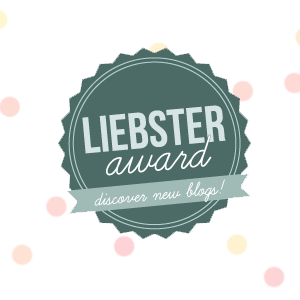 Thank the Liebster-winning blogger who nominated you and link back to their blog. 3. Answer the eleven questions your nominator asked. 4. Create eleven questions for your nominees. 5. Nominate eleven blogs of 200 followers or less who you feel deserve to be noticed and leave a comment on their blog letting them know they have been chosen. 8. I started blogging thinking I would do it when I was bored, and I was shocked to find it became my favorite hobby! 9. I love my job... and all of the challenges it brings! 10. The beach is my favorite place to be. What’s one of the scariest things you’ve ever done? Bungee jumped! What accomplishment are you most proud of? I'm proud of my educational accomplishments/degrees. When you were a kid, what did you want to be when you grew up? I always wanted to be a teacher! 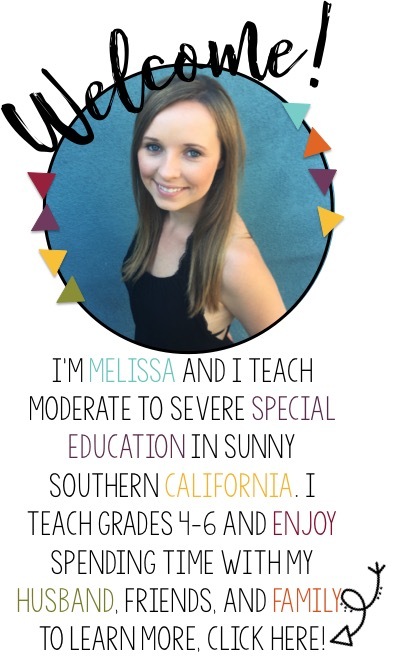 It wasn't until my credential program that I decided I want to become a special education teacher. Would you recommend your career choice to others? Why or why not? I would say it's not for everyone. For me, it's a dream job. To come to work and help little kiddo's become a better version of themselves! If you could visit any country in the world, where would you go? Thailand! Why did you begin blogging? I thought it would be a fun hobby... BOY has it taken over my life! Who in your life has influenced you the most, and how? My parents have both inspired me in different ways.... to each their own! Do you like to talk on the phone, or do you prefer texting? Phone call please! Or an in person encounter! If you could try out any job for a day, what would it be and why? A parent to a child with special needs. I would love to be in their shoes so I could better understand their wants and dreams for their child. Write In The Middle's Questions! 1. What made you decide you wanted to be a teacher? My mom was a teacher. I wanted to be a teacher from a young age. 2. What was the hardest thing about your first year? Managing my time... not taking work home! 4. If you could change one thing about your school, it would be... more money for basic supplies... crayons, pencils, paper, art supplies, just 1 working computer for my kids! 5. What's your favorite hobby? BLOGGING! 7. Where would you go on your dream vacation? Thailand! 8. What was the most valuable advice you ever received? "There is always, always, always something to be thankful for"
10. What color pen do you grade with? Blue or Green! 3. What inspired you to start blogging? I had spare time and I love connecting with other special education teachers. If someone handed you 1 million dollars today, what would you do with the money? What is your favorite way to spend a Friday night? Saturday Morning? Chevron or Polk a dots? Where would you travel to if budget was not a factor? What is the funnies thing that has ever happened to you? Setting Up a Donor's Choose Project! Washing my Hands Social Story! I Can Take a Bath Social Story!